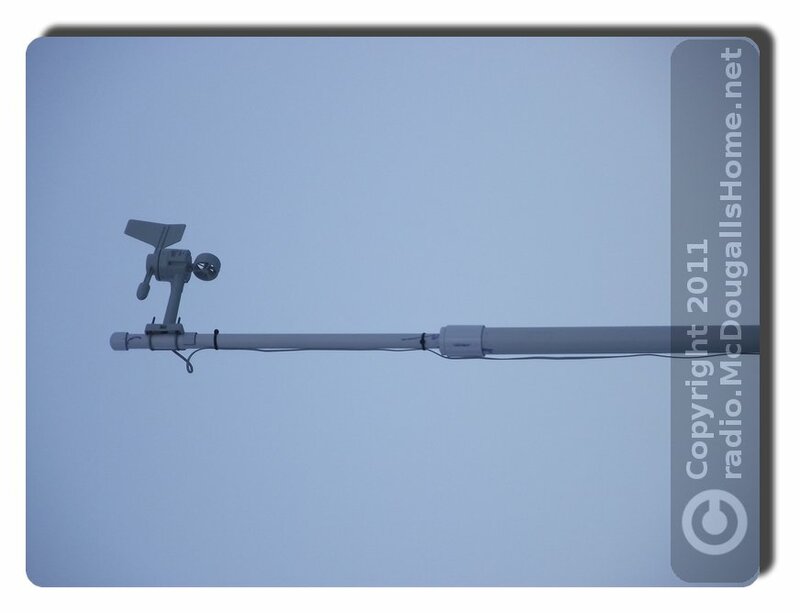 I have, for a long time, wanted a real weather station at my QTH. 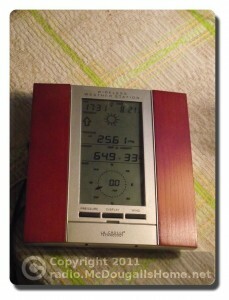 For Christmas I received a LaCrosse WS-2315 weather system. 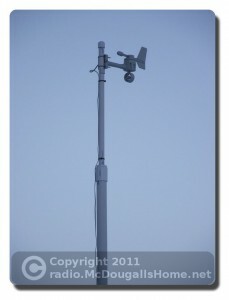 It measures temp, wind, wind direction, wind chill, heat index. barometric pressure, humidity, rainfall, and the dew point. My computers run the Linux operating system. Specifically, Ubuntu Linux. 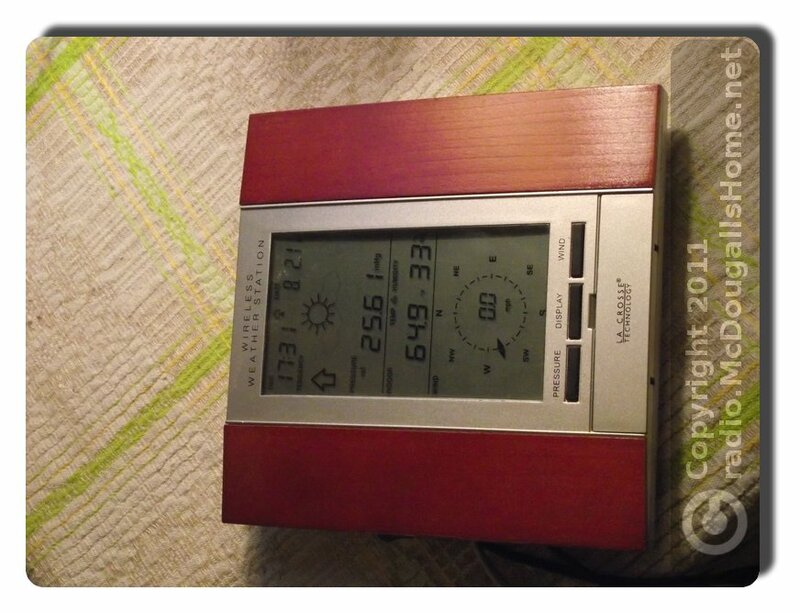 I found some nice weather software called “wview” that is compatible with my weather station. I put wview on my desktop, configured my weather station, and have it upload the weather data to my web site. You can see it http://mcdougallshome.net/wx/. The whole system worked real nice, but my desktop had to be powered on all the time, and for some reason, when one of my kids would get on it, the weather system would crash. My solution is the “SheevaPlug” plug computer. The SheevaPlug is slightly larger than a wall type transformer. In fact, the SheevaPlug plugs into the wall just like a transformer “wall-wart.” It also has an option for a power cord, which I find more convenient to use. I added an 8GB SD card and upgraded it to Debian Squeeze since Ubuntu does not support the Arm processor anymore. 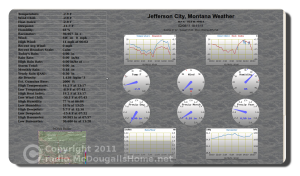 I then loaded up wview weather software, and my webcam software scripts. And voila, it works! It was a fun process and not as clear cut as one would think. 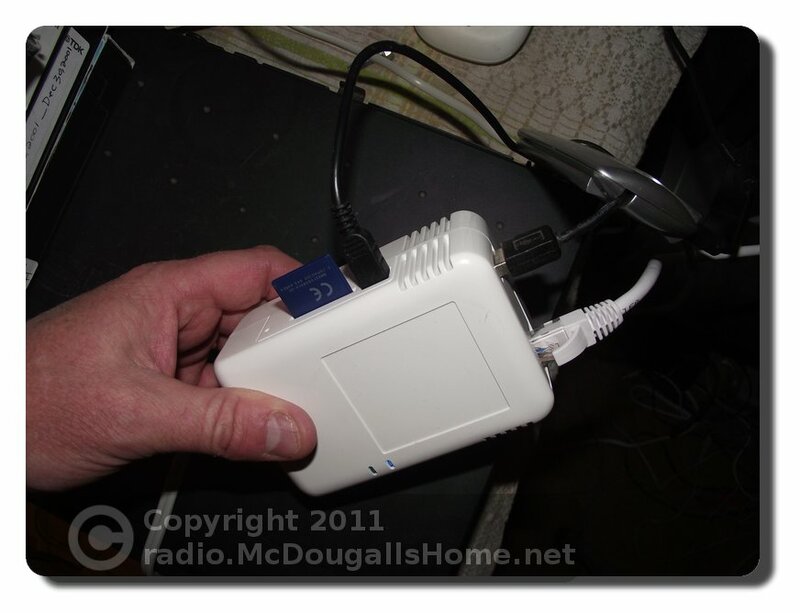 The SheevaPlug is a development kit; and therefore, has no instructions, but there is a lot of information on the Internet. I made a video (actually three parts) showing an overview of the process that I took to get it all together. Also, here are some pictures of the setup.